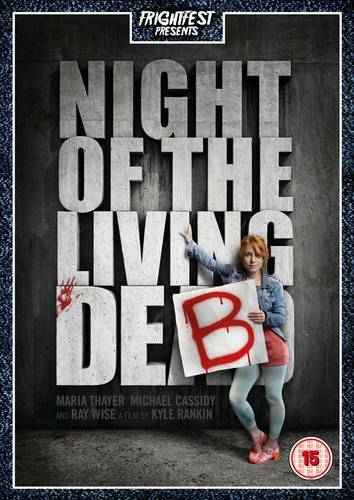 Following on from the success of Shaun of the Dead, Warm Bodies and Life After Beth, Night of the Living Deb is the newest “zom-com” to be released, mixing zombie horror motifs with those of a romantic comedy. Fans of the genre will enjoy this as an entertaining piece of fluff, but if zombies lust for brains, they won’t find much of it in this film. After a drunken night out, quirky Deb wakes up in the bed of the hunky but sensible Ryan with no memory of the previous night. But when Ryan unceremoniously kicks her out of his flat, the pair soon find themselves in the midst of a full-scale zombie apocalypse. Over the course of the 85 minute runtime, the mismatched duo has to fight for survival as everyone around them devolves into flesh-eating monsters. With its fiery feminist heroine, Night of the Living Deb has the potential to really break new ground, particularly as it attempts to subvert the traditional gender roles found in most horror films. But where Shaun of the Dead is a clever parody of British culture, Night of the Living Deb doesn’t have an awful lot to say. Deb is only desirable when she finally puts on a dress and washes her hair – a plot device which seems rather outdated for 2016. But the biggest problem with the film is that Maria Thayer (Deb) isn’t charismatic enough to carry the weight of the film. Though she tries her hardest to make the character seem charming and kooky, Deb is so obnoxiously annoying that most of her jokes fall flat. In fact, during the entire first half of the film, Deb is so insufferable that you can’t help hoping that she’ll finally get eaten by zombies. Thayer’s performance becomes more nuanced in the last half an hour, but it all seems too little too late. The male cast, particularly Michael Cassidy and Ray Wise, fare considerably better, but their characters are so two-dimensional that they fail to make much of an impact. This is most evident when Deb takes refuge with Ryan’s family. There is a lot of potential here for interesting dialogue between these characters – especially between Deb and Ryan’s vacuous ex-fiancée – but the script neglects character development in favour of one-liners, meaning that we never really care about anyone. This might work in a traditional romantic comedy, but when we’re supposed to fear for Deb and Ryan’s survival, it seems like a missed opportunity. But that’s not to say that the film isn’t entertaining. Starting its life on a crowd sourcing platform, Night of the Living Deb has some genuinely funny moments, and the romance between the protagonists, although predictable, has a warmth and sincerity that is not always present in the genre. The twist at the end is certainly unexpected, and it’s refreshing to see a zombie film that has a happy ending and an endearingly positive world view. Despite its flaws, the film ends on a much stronger note than it began.